Looking for a unique, memorable gift for someone special? 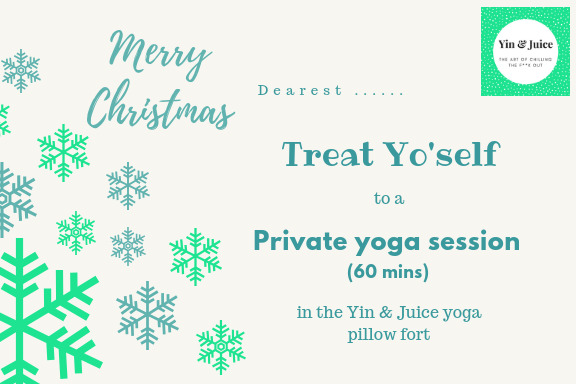 Give them the ultimate gift of deep rest and relaxation in the Yin & Juice yoga pillow fort, where we take care of everything so they can just turn up, switch off and chill the f**k out. 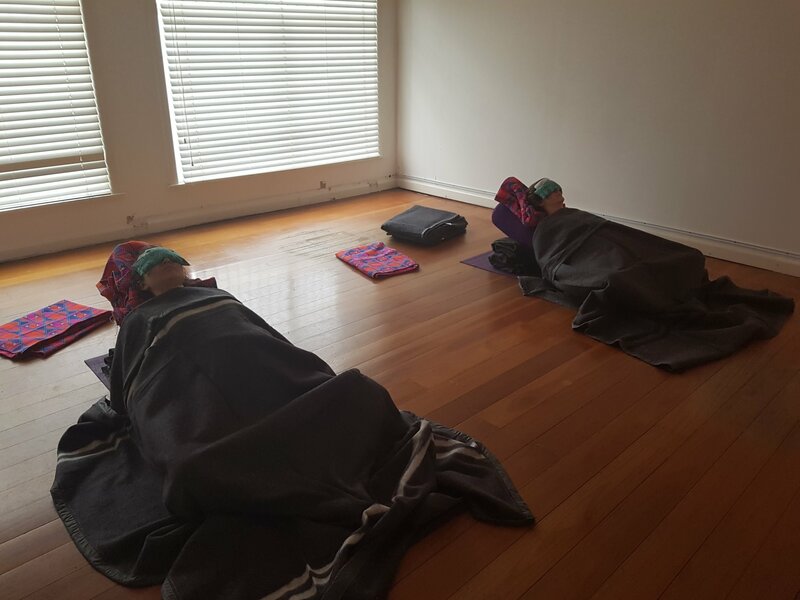 Yin & Juice yoga is a mash up of yin and restorative yoga, where poses are held for longer and lots of props (bolsters, blankets, eye pillows etc) are used for support. No prior yoga experience is required. Each private session will be different and specifically designed for the individual. For those wishing to deepen their practice, there are lots of options: we can weave in philosophy, mantra, breathing techniques (pranayama), various types of meditation, including yoga nidra. The possibilities are endless! Prior to each private session, there will be a brief phone consultation to discuss any specific requirements or address any questions. Gift certificates can be personalised for any occasion and will be sent electronically (most eco-friendly option- love the earth! ), however I can arrange for one to be printed and posted in a gift box for a small extra fee.